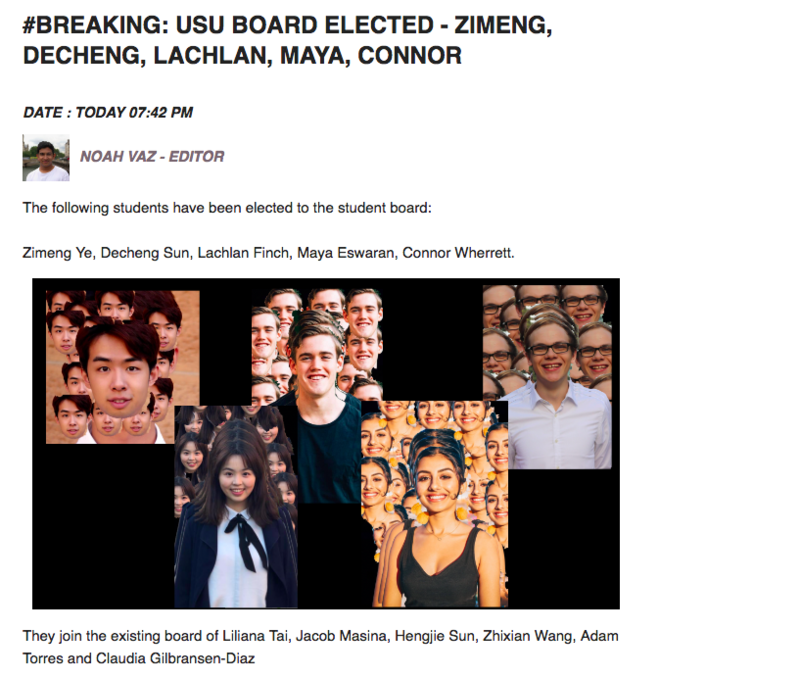 Zimeng Ye, Lachlan Finch, Decheng Sun, Maya Eswaran and Connor Wherrett have been elected as USU Board Directors, in the 2018 USU Election. The five directors will serve on Board for a term of two years. 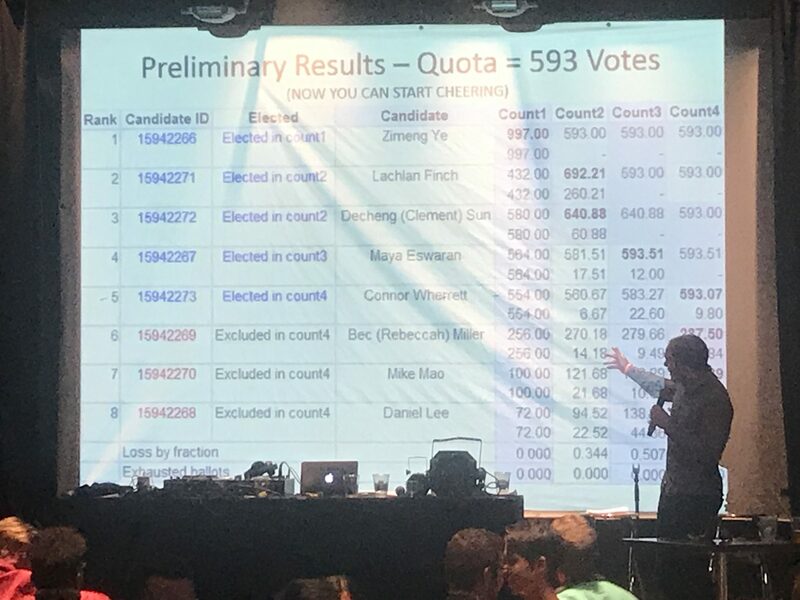 Zimeng Ye polled in first place, with 997 primary votes cast, followed by Lachlan Finch (432), Decheng Sun (580), Maya Eswaran (564), and Connor Wherrett (554). Bec Miller (256), Mike Mao (100) and Daniel Lee (72) were not elected. The result reflects Honi’s exit polling of the past three days, which polled 1351 votes of a total 3555. The turnout this year was just above last year’s total vote count of 3454 which was reported as the lowest turnout in seven years. This is the second year in a row two international student candidates have been elected, with Hengjie Sun and Zhixian Wang currently serving on Board. At 7.42pm, Pulp published a report purporting to announce the official election result, before the actual announcement at 8.30pm. The article was quickly taken down after Finch campaigners alerted the Pulp editorial team. The premature announcement was supposedly based on Honi‘s exit polls.